In my five-cent tour of my new office, I promised that there were some smaller projects in the works. The first on my list is the lighting. My newly fabulous office deserves more fabulous lighting, dontcha think? 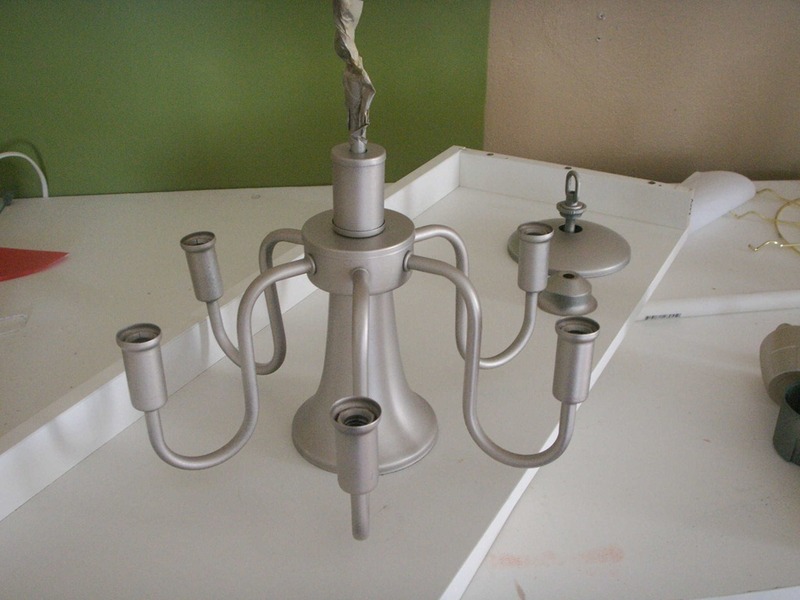 I trolled my favorite thrift store, The Goodwill outlet, for a new-to-me fixture. I didn’t have to troll for long because thrift stores are rife with discarded fixtures. 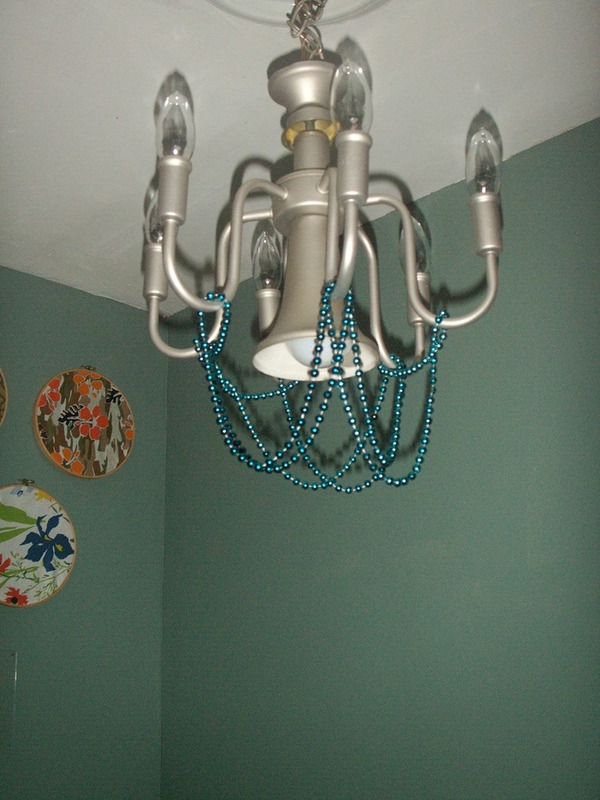 I specifically wanted a chandelier-type pendant light. 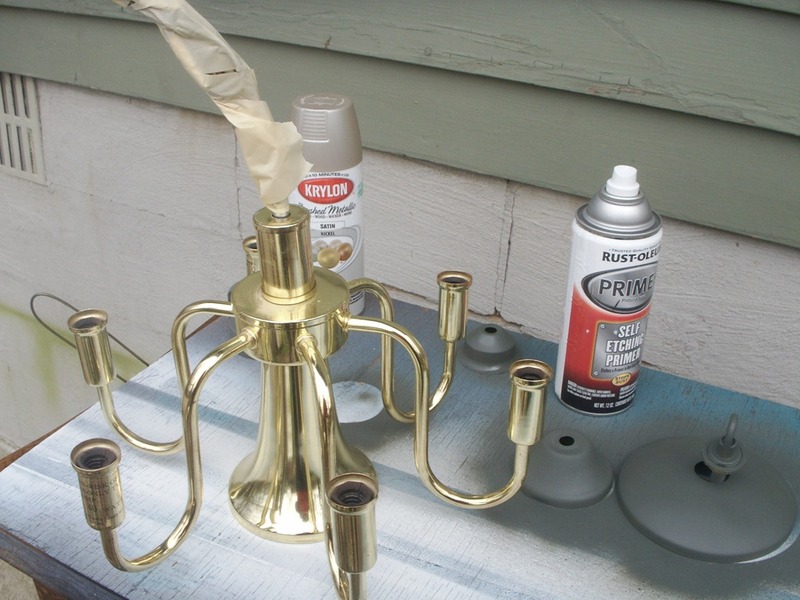 While visiting my other favorite store, Habitat For Humanity Restore, I saw what a little spray paint can do for a tired old chandelier, and that inspired this project. Seriously, support your local Habitat For Humanity Re-Stores and Thrift Stores! I’m such a fan of re-use that these stores are my first stops when I need something. Anyway, within 30 minutes of searching the piles at the Goodwill Outlet, I found this ‘80s relic. 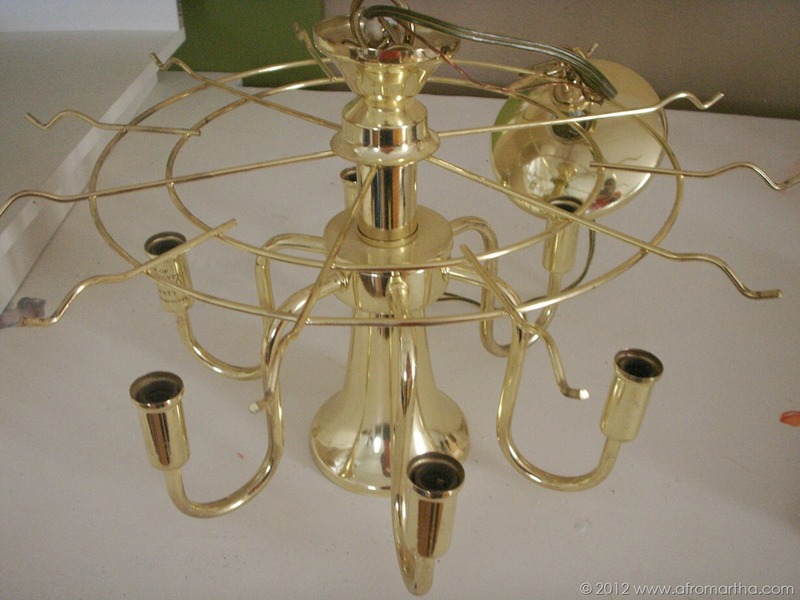 I decided to to leave outthe round ring thingy, which I suspect may be meant to hold a lampshade. Go forth and fab up a something that time forgot, y’all, you’ll be so glad you did! You were reading my mind! As soon as I saw the first refinished shot, I had to do a double take. I really love that paint finish. Definitely ’80s no more. Got any suggestions for redoing ceiling fans?